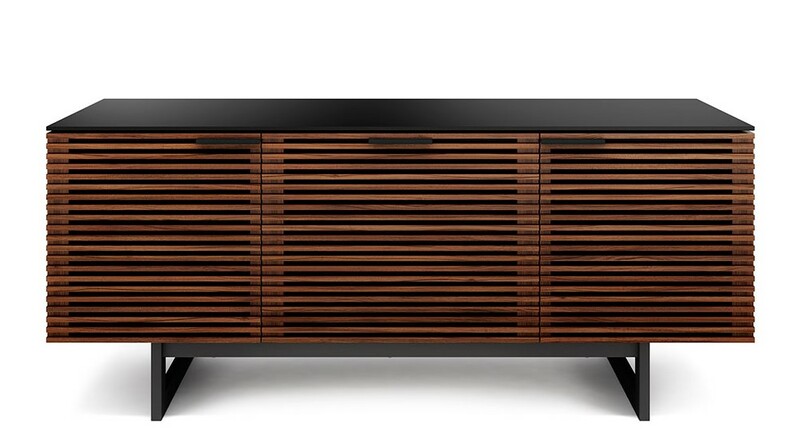 The award-winning Corridor collection features louvered hardwood doors and a black, micro-etched glass top. 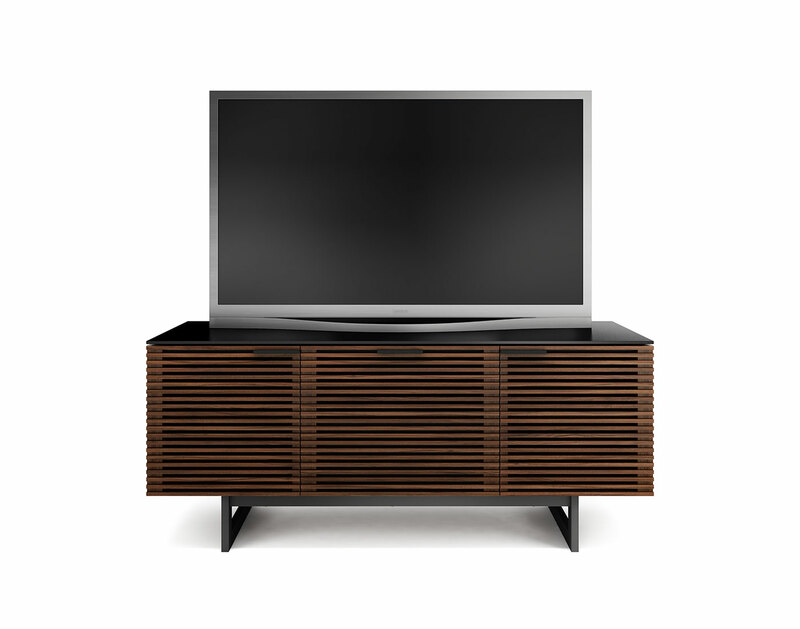 The design is available in four media cabinet configurations, an audio tower and an elegant bar. 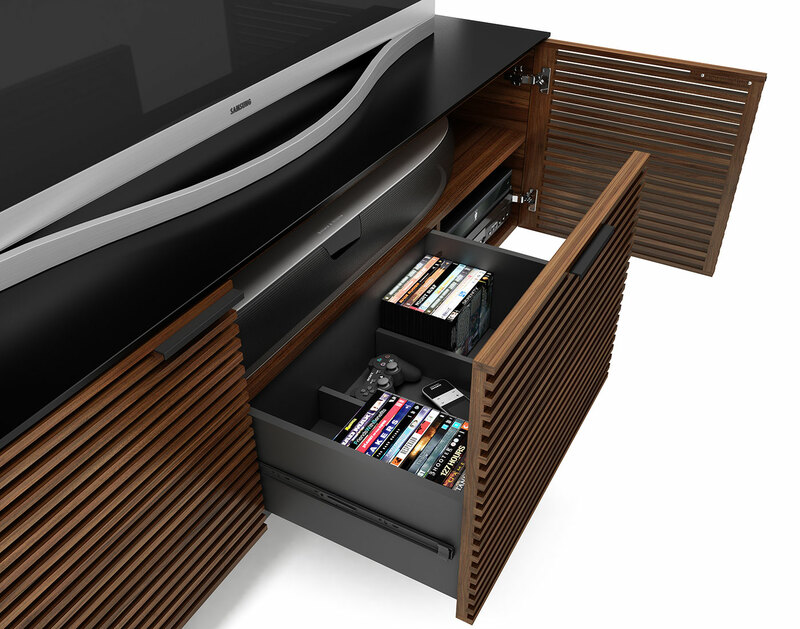 The media cabinets all are engineered for technology and include integrated cable management, removable back panels and adjustable shelves. 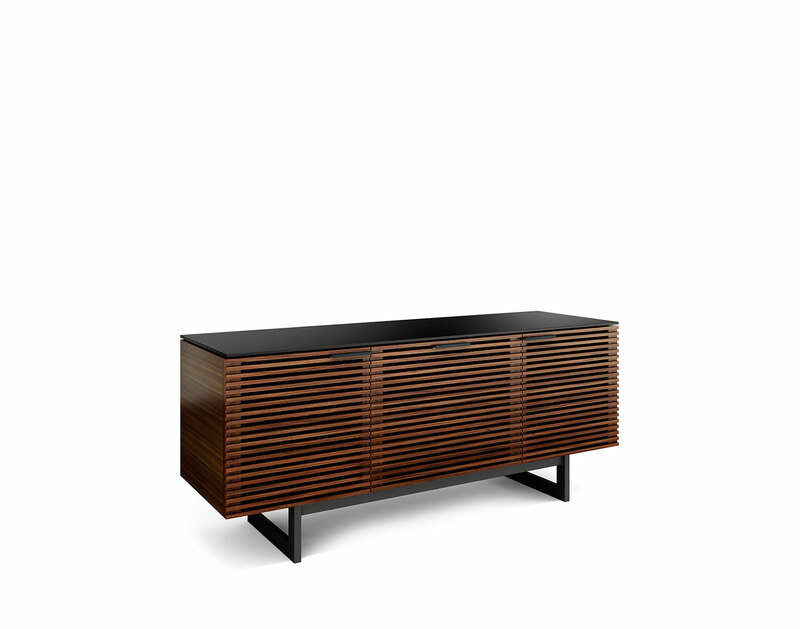 All pieces are available in two finishes: Chocolate Stained Walnut or White Oak.